All things in sequence, first the bud and then the flower. We can no more hold back the blossom than we can the daylight. It is inevitably there, beautifully delicate and subject to crushing. Only through very careful tending will it withstand the winds and rain and pressures of the outside. Sequence is the order of human life. God intended us to unfold as the flower: first the seed in the fertile soil, the birth, the growth, the learning, the discoveries, the knowledge, the desires, the fulfillment as each phase of life follows its own sequence. We hold back the flowering of life only if we want it to be nonexistent, for it must progress. And in some of the most tender spots progression must be slow, easy, and reverently handled, for it can be as fragile as the flower. There is within us a delicacy of thought which entwines itself throughout our beings, crossing from phase to phase, creating within us conflicts not easily understood. Something out of sequence in one phase may postpone the flowering of another phase. The very roots of our souls must be watered with reverence to successfully follow the sequence of life. If no other human understands or cares to understand, if we do, then continue – first the bud and then the flower. Of all the intricate and complicated creations in the world, humanity occupies the first place. Our lives are made up of such flexuous combination of body, soul, and spirit that we do not even understand ourselves. We all desire to know what makes us tick and how to go about making ourselves tick better. Whether we realize it or not, we are in search of the truth of our own being. Why are we here? What step should we take next? One problem after another, question after question brings us to this place again and again. They are our personal problems and the wisest of persons cannot give us the answers. We will always need help to encourage us in our search but we must go within ourselves to cure, to live, to feel, to believe. We must win our own hearts before we can find happiness with others. We must know what we want and be willing to share it with others, for it is written that life is made up, not of great sacrifices or duties, but of little things, in which smiles and kindnesses win and preserve the heart. An entire apple tree is initially contained in the seed. Visions are initially contained in the idea. If you trace the path of a blooming flower backwards, it goes from the blooming flower back to a bud, back to a stem, back to a seed. So it is in the way of knowledge. Often we will experience a hunch or a feeling that we are supposed to do something. At first it may not make any sense. This is the seed stage. Once we start to investigate, more gets revealed. As more is revealed, the more knowledge we get. This is the way the Great Spirit guides us. Great Spirit, help me to choose the right choices. Early winter mornings have a special quality, a clarity where long thin shadows and ice crystals in emerald and topaz lie on the grasses. With the exception of a chortling blue jay there is little noise – as though everything bedded down last night and it reluctant to come out. A red tail hawk in search of breakfast rides the air currents far overhead where it can spot anything moving. It is strange that nature pays so little attention to what we think is beautiful in their domain – but it is equally strange that we are so oblivious to the supernatural that waits on us to recognize it. If you place conditions on happiness, even when those conditions are all met you won’t enjoy real happiness. You’ll be living in fear that those conditions will change. Make your happiness a choice, not a reaction or result. Give happiness to life rather than waiting for some particular set of circumstances to bring it to you. The world can and will treat you unfairly, and yet happiness is still yours to choose. When you do, you activate the power to change your world for the better. Being happy with life is not some silly, superficial emotion that evaporates with the next moment. Real, unconditional happiness is deep and empowering. In the unimaginably vast expanse of time and space, you have the great fortune to be alive here and now, able to choose and to make a difference. From your gratitude for all that is, for all you are, let happiness flow. Be happy from deep within. Let the light of that happiness brighten your whole world. The world awakens each day from its nightly slumber, transformed by a sparkling layer of morning dew on the grass, on flower petals and leaves, on cars and car windows. These glistening droplets last only a little while, an integral part of what imbues the early morning with its aura of magic. If we sleep too late, we miss the magnificent display of sunlight playing upon an infinite amount of tiny crystal balls. To step onto the dew-covered grass is to anoint our feet with a form of water that comes only once a day for a short time, a rarefied gift of the night air that will soon evaporate in the full light of the sun. If we inhale slowly and consciously enough, it is almost as if we are drinking in this magical elixir formed in the boundary between darkness and light. In one myth, morning dew is believed to be tears from heaven, and in another, the droplets are poured from the vessel of the goddess of dawn. When we see the earth draped with these shimmering drops, it is easy to imagine fairies bathing in the water, or a sky god weeping from a longing to be closer to his beloved earth goddess. Seeing the sparkling beauty of the earth emerging from darkness, we may understand this longing in terms of our own gratitude; how blessed we are to be here. Perhaps heaven really does long to be here on earth, and perhaps that is why we are here—as conduits between the divine and the earthbound. As we drink the morning dew in with our eyes, our skin, our breath, it is easy to imagine that it really is a magical potion, a gift from heaven, a reminder of our true purpose, and a daily opportunity to be transformed. The Winter Solstice is a time of happiness and renewal for many Pagans. On this day, Pagans celebrate an ancient holiday called “Yule.” With Yule logs burning in hearths, mistletoe hung above doorways, and trees traditionally decorated with fruits and lights, we eagerly anticipate the symbolic rebirth of the Horned God through the Mother Goddess. The birth of the God (who is represented celestially by the sun) marks the end of winter and the coming of warmth. With his rebirth comes a time of earthly fertility, joy, and new beginnings. Many early Yule traditions were incorporated into the Christian holiday of Christmas (which is celebrated within the same week) during the reign of the ancient Roman Empire. Therefore, many recognizable Christmas traditions share a common ancestry with religious traditions observed by Pagans during Yule-time; some of these shared traditions include the hanging of wreaths, decorating evergreen trees with lights and ornaments, feasts, and the exchanging of gifts. This, of course, is only my subjective experience- my personal unhealthy perceptions that I do not wish to blame on anyone else. It is no one’s responsibility to make me feel included or acknowledged. I would never ask that of anyone. However, I will not deny that these feelings do affect me. I believe that that is unhealthy, too. Part of the pain, I think, comes from living in a society that is drenched in Yule symbols during holidays but ones only recognized as relating to Christmas. The decorated evergreen trees, the candles, the wreaths- they are beautiful and dear traditions to my experience of my religion. Yet, my participation in these decorative rituals is seen as Christian through the eyes of my culture. I do not want to be pegged as Christian; not because of hatred or distaste for Christianity, but because of my deep connection and love for my own religion. I believe that Christianity can be beautiful. I respect and admire many facets of it. But it is not mine. It is not what dwells in my heart. I want to be able to express the religion that dwells in my heart without it being misread as someone else’s. Of course, this is not the responsibility of anyone but myself. I am not asking for society to change. I am not asking for individuals to change. I do not believe that Christians “stole” Pagan traditions- in fact, I think it’s wonderful when cultures merge and incorporate one another’s traditions into their own practices. It’s reminiscent of the spirit of interfaith! However, I do think it is important to share my own experiences with those who care to listen, to share the suggestion that there may be people close to you who are torn between feelings of incandescent joy and exclusion or sadness. I’m not saying that it’s your responsibility to console those of us who feel this way or to stop wishing us a Merry Christmas, but I am suggesting an awareness of the interfaith sanctity of this time of year. I am suggesting a hug. I am suggesting a kind smile. I am suggesting a mindfulness of the hearts of those who are important to you. A stranger’s Christmas sentiments are very much appreciated, but a “Merry Yule” or “Happy Holidays” from a dear friend would be so, so healing to the heart. So, as I relax in the beautiful cabin in the mountains that my family has gathered in for Christmas, I meditate on my emotions. I hurt and I wish for a reality that better represents all religious and secular traditions. Yet, my spirit is also filled with peace and feelings of renewal. Yule passed- quietly and unremarkably in the small town of Smyrna. But joy silently burst inside me as my holy solstice passed while I stood on a train. I watched quietly as the airport disappeared behind me and was reminded of all the things that have passed in my own life. The rebirth of the God mirrored my own rebirths- the hundreds of times I have made a passage to and from transformative experiences- and I was proud: proud of my life, proud of my religion, and proud of myself. I am glad to spend these days with my family, regardless of what holiday they are celebrating. I can celebrate right along with them because my heart and my spirit are strong. I can see my Goddess in their Holy Father. I can see the rebirth of my God in the birth of their Christ. And with the couple of friends who wished me a Blessed Yule on the 21st and the rest of the world who wished me a Merry Christmas throughout December, I can embrace the identical sentiment in both: love, new beginnings, and togetherness. So, Blessed Yule to you. Happy Chanukkah. Happy Holidays. Merry Christmas. Happy Kwanzaa. And happy everything else that may be celebrated during this time that I have not mentioned. I hope that you feel loved this Winter. I hope someone is keeping you warm. I hope that you feel loved this week. I hope that you feel special and important and part of something. And most of all, I hope you embrace whatever is in your heart and allow yourself to feel it, genuinely and healthily. The earth had been changed now and there was little left of the Autumn that had only a few weeks early covered the land in a kaleidoscope of golden and red leaves. Winter was now dancing in the air cold and sweet. You could sense a tingle of energy that comes from that special magick found during the great changing and within the coming of Winter Solstice. Not yet December, Epo’o Aeneva Nahko’e, The Gray Lady of Winter, had been leaving Her secret signs and soon we would have the arrival of the first blanketing snow. My Great Grandmother had been watching the signs for winter for weeks. Even in the summer she had noticed the caterpillars with their heavy wool and how the animals had begin to lay up food earlier than normal. We would have an early snow for sure, as well as a cold winter and a white holiday. The day of giving thanks and remembering the ancestors had passed. So I knew that soon we would be preparing for the Winter Solstice and that meant decorating the house for the winter holidays. I loved the winter. Walking into town with my Great Grandmother to buy special treats for cooking and sometimes a store decoration or two for the tree. The streets were decorated with colored lights and with sparklingly tinsel and everyone seemed to smile at you. Since my Great Grandmother was know as a Witch and Conjure Woman even then, not everyone smiles when we passed, in fact they often looked away or crossed to the other side of the street to avoid us. So the smiles were very magickal to me. I also loved how my Great Grandmothers house felt alive and warm in the winter. In the evenings as I lay on the braid rug in front of the fireplace watching the sparks fly up the chimney it was like I could feel the house breathing. I loved the sounds of the cold wind whistling through the trees, the fire crackling and popping as my Great Grandmothers rocking chair creaked on the wood floor as she rocked. Then there were the smells. The smoke sweet on the air mixed with the aroma of hot bread in the oven. I especially loved the way fragrance that would fill the house when we first put up our tree. The fresh sent of evergreen would overflow into every room. The excitement I had for this time of year, for the winter season and for the winter season would cause me lots of trouble when it come to trying to sleep. It was now into December and only a few days before the Aunts would be coming for the great celebration. The celebration of calling the Sun back unto the world winter solstice. I was always thrilled when the Aunts came. But this year I was even more excited, because I got to pick out and cut the tree down myself and decorate it. Before I had been to young and small but now at ten years old, I was old enough to be trusted to go alone and bring home the tree. It seemed like I must have awaken hours early that morning. I couldn’t sleep because I knew that today I got to go and get the tree and I was so anxious to do a good job and make my Great Grandmother proud. Finally I heard my Great Grandmother stirring around in the kitchen getting ready to make breakfast. I jumped up out of bed and got dressed as quickly as I could. I ran into the kitchen breathing hard and looked at my Great Grandmother cutting out some biscuits and putting them in the pan. She must not have remembered what today was because she didn’t seem excited at all. After a moment she turned and smiled saying. “Will my little one, I see you are ready. Are you sure you want to go alone and get the tree?” “I can do it Mam, ma.” I happily answered. I was glad that she trusted me with this most important job. But mostly I was glad that today was finally the day. We ate our breakfast as my Great Grandmother reminded me of how I must be careful. How I was doing a very important thing by picking out the tree, cutting it and bringing it home. As big as I was, I need not get carried away and remember it was not for myself I was getting the tree. The tree was for everyone as a reminder that winter would be ending and the Green Earth Goddess would be returning. I tried to listen to everything she was saying, but all I wanted to do was finish breakfast, get my new ax and go cut that tree. And I was going to make sure it would be the most perfect tree anyone had ever cut. I begin walking down the path, past the barn, through the pasture to the edge of the woods. The sun was sparkling bright and felt warm even though the ground was frozen hard. I walked until I had reached the back pasture and there I could see all acres of evergreen trees and one would be that perfect one of my choosing. I think I must have walked hours from tree to tree, back and forth until I picked out just the right one. But no, that one was too small; so I would start again. No that one was to thin. Over and over … then I at last found the perfect tree. It was a big, beautiful, perfect tree. So carefully, as I had been told I begin to cut it down. My arms hurt after a while and I had to rest and remove my coat; I had gotten so hot. Again I would chop and take a break until, after what seemed a long while the tree fell. I was so excited about cutting it down that I could hardly wait to get it home. I put on my coat and begin to pull; it was hard since the tree was big and very heavy. I pulled and tugged and pulled again but I only moved the tree a short distance. The tree was too big. I am sure that the ones that my Great Grandmother and I got together were not bigger than this one. But there was no way I was going to be able to get this one home all by myself. Frustrated and angry, I sat down on the frozen ground and begin to cry. I must have been extremely tired because after a while I jumped up realizing I had fallen asleep. I got up off the ground and slowly walked over to the tree to figure out what I needed to do next and how I was going to get this big, beautiful, perfect tree home. That is when I noticed that there was something different about the tree. It was smaller than before, I am sure it was. As I looked around I saw on the ground beside my ax a pile of winterberries, picked and placed there so neatly for me to find. I wasn’t sure what was going on, but I believed it might have been the Earthen Creatures. My Great Grandmother had told me many stories of the Earthens, the creatures of nature that watch over the forest and help Great Goddess take care of Her children. They have many names but we always called them Earthens. Is that what happened? The next night the Aunts arrived and I was so excited to tell them everything that had happen when, I, all by myself cut the tree. Soon the Aunts were telling their stories and together we carefully decorated the tree. The sweet and marvelous evergreen smell filling the house. We put the Solstice candle on a small table and readied the house for the great celebration to call forth the sun. For me this was all a part of the enchantment and magick that made the season wonderful. To this day I still love winter and the holiday season. I look forward to the first snowfall and the sounds of a fire crackling and popping. Sometimes as the pleasant aroma of smoke drafts across my spirit I am sure I can hear my Great Grandmothers rocking chair creaking as she rocks back and forth in my heart. The magick we find in this time of year and this holiday season does not come from the name we attach to it or the date we choose to celebrate it on… It comes that part of ourselves where we allow believing. That is when our hearts can find the true magick within all things. Have a magickal and blessed holiday. As we enter the dark time on the Wheel of the Year, our bodies want to slow down, regenerate – even hibernate a bit. But our mainstream culture has just hit the “crazy button¨. Buy! Shop! Bake! Party! Go! Go! Go! Listening to the needs of our body is challenging in a world of excess stimulation and major expectations. But Witches do magik and there’s no better time to use our skills to shift our reality. Food magik is the perfect remedy for the winter holiday crazies. Using food magik at this time allows us to participate at some level with the cultural flow, which many of us choose to deal with because of our families, friends, and habit. It also allows us to keep connected to our Witchy magical selves, while serving to keep us grounded and centered. One of my favorite food magik books is Patricia Telesco’s book, A Kitchen Witch’s Cookbook, published by Llewellyn. She includes recipes for all points on Wheel of the Year. My favorite part, however, are her lists of correspondences, which provide great references for choosing foods to energetically align with specific intentions, deities, kitchen tools, numbers, colors, astrology and more. At the end of a long day, I will often use cooking dinner as a tool for shifting my energies and moving myself (and those with whom I engage) into an intentional space for the evening. As I wash my hands I let go of whatever stress I might be carrying from the day that isn’t mine. Then I greet Water with a song or just simple words of greeting. I get out my teapot and welcome in Earth. I choose an aromatic tea and welcome in Air. Then putting Water on to boil, I welcome Fire. As I pour the heated water over the tea and into the pot, I welcome Spirit. My kitchen is now a sacred space. If I am alone I cast a formal circle. If I know others will be coming in and out of the kitchen, casting a circle is rather impractical. But holding the intention of sacred space is always doable. Peeling, chopping, stirring, blending, etc. can all be magical acts. Bringing that focus to whatever food preparation you do will shift your experience and can be quite useful. Within the sacred space I have created I use the acts of preparing food to process my day. I peel away anything I have no control over for the next few hours :or the entire evening. This brings me to the present and unburdens me. I might use chopping to help me break down into digestible pieces anything I do want to deal with in the next little bit. For example, I might wish to discuss something over dinner with someone and use the act of chopping to sort it out into reasonable sections. This often helps me to get to the real core of what I need to say. I end up cutting away the fluff or details that are not relevant or might become a distraction. If I have a huge list of tasks waiting to be done (like gift making, shopping, cleaning, etc.) I might use the chopping to break it all down into what I might reasonably achieve tonight. Again, this process allows me to sort through and cut away anything that isn’t necessary- particularly the shoulds and have-to’s of other peoples’ agendas that simply don’t work for me. Blending is quite useful for gathering all the aspects you might want to put into something and mixing them together to make a wonderful ‘stew’ of intentions. For example, I might want to remember (rosemary) my love for my family; while wanting the courage (black pepper) to maintain my own intentions for the holidays; and celebrate the peace (marjoram) of the winter; and maintain my own physical energy and health (garlic) while moving through the busy holidays. I can blend these together by hand or in a mortar and pestle to really get the magical aromatherapy benefits. (See Scott Cunningham’s book, Magical Aromatherapy, from Llewellyn) . Sometimes I choose specific foods around a particular intention. Other times I simply choose to be aware of the energies of the foods I feel like eating. This is a good thing to do in times of stress. It helps to avoid eating poorly in a time when you really need the boost of the healing energies food can bring to you. Awareness is a powerful Witch’s tool! – As with all magik, the more of your self you bring to it, the more power it will hold. – Involve other household members. Cooking magik is a fun way to teach young ones. -Raise energy with a song before you sit down to the table. Infuse the food and your body with the song. Try the refrain from the Prosperity Song on my Come Walk in Beauty CD. Goddess brings abundance to all on Earth. All I need each and everyday. -The energy will be naturally grounded in the eating of the meal. -As you clean up, don’t forget to thank and release the Elements. This information around creating a meal can also be used in making holiday gifts (potpourri, specialty teas, cookies, jams, dried fruit) and for holiday baking. Make your holidays magical with focused intention in the kitchen, at meals and through food gifts. It’s fun, it’s easy – and the little bit of extra time you invest will pay off in ease, joy and sacredness! So It’s The New Year. So Now What? 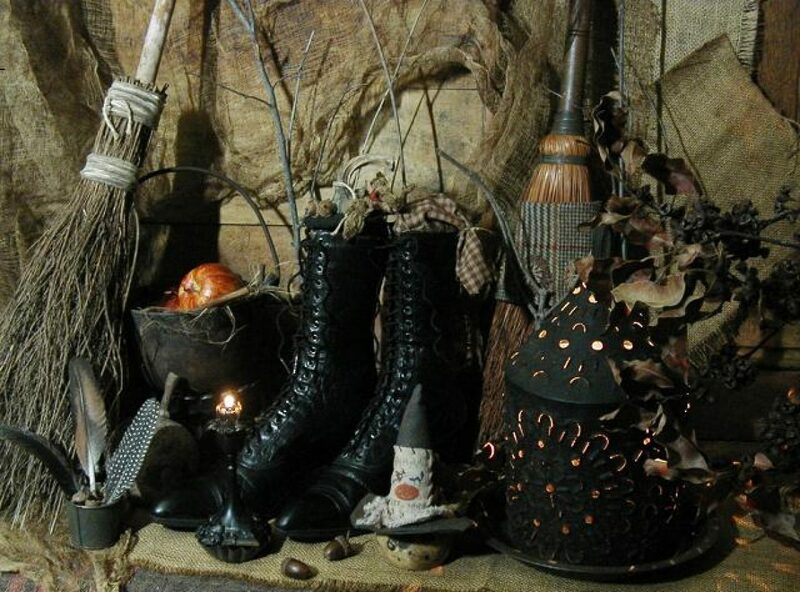 The time between Samhain and Yule is — underneath all the frantic preparations for various modern and ancient holidays — a time of mists, mysteries and deep introspection. At Samhain — Summer’s End — the Veil between the Worlds is at its thinnest, and in the Northern Hemisphere, our bodies, minds and spirits respond to the dying vegetation and longer nights by preparing for the advent of Winter. While festivities around the time of the Winter Solstice are a long-standing tradition, our modern obsession with parties and presents in the weeks before Solstice distracts us from what Nature offers us at this time, and is the prime contributor to the often-flaming holiday burnouts that happen so frequently between now and the secular new year. Holiday burnout is particularly problematic among Pagans, Wiccans and Heathens. We strive to honor our own beliefs and follow our own (often young and fragile) traditions while meeting the expectations of a family that still celebrates Christmas. Sometimes, hiding our own beliefs seems necessary or at least politic at family gatherings, adding to our stress and feelings of burnout and disconnection. This stress begins in November, with the plans for the first of the season’s family holidays, Thanksgiving. If you were sitting there nodding your head as you read that last paragraph, take note: you really, really, really need to take some time for yourself. Not just the occasional Sunday morning when everyone else in your family is asleep or at church. No, you need to take time every day and some more time every week to renew yourself spiritually within your own tradition and let yourself tune in to the seasonal rhythms of Nature. Find a place in Nature you can visit every day. Yep, every day. If it needs to be a different spot on weekend days, fine. If it is just a tree in a sidewalk surrounded by an ocean of concrete, fine. You’ve got that, and the sky. The important thing is that you tune into Nature and give thanks – thanks to Nature, thanks to your vision of the Creator(s) and the Creation, thanks to whatever you are genuinely thankful for. Your heart knows what these things are – just listen. 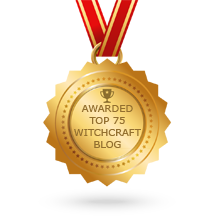 The ability to genuinely give thanks is a tremendously powerful magic that shifts lives – a secret you don’t always learn in Wicca 101. Once you have found one or two things to be thankful for, nurture the feeling of gratitude and look for more people/beings/things that give you that feeling. You’ll find them, and your life will improve as you do, because the energy you put out into the world will change. Touch base with Nature every day, and let Her know about the things you’ve found that you are grateful for. Build an Ancestor Altar and spend some time with your ancestors. It doesn’t have to look like an altar; it can just be a few pictures and maybe a small object or two – an acorn, a feather, or a stone. Give honor to your ancestors; to your bloodline as it has stretched back through the centuries. If one of your ancestors was someone you cannot bring yourself to honor, then simply make a vow to those ancestors you can honor that you will transmute and heal any emotional poison still within you. There are ancestors who will help you heal, and others in your line whose spirits will take healing from yours as one candle takes flame from another. Work with your ancestors to heal not only yourself, but any disease or abuse that has occurred in your bloodline along the lines of time. Do this work at least once a week or so. Sit down and re-vision your spiritual touchstones. What do you think is intrinsically right? What do you think is intrinsically wrong? What’s relative, and what’s in a gray area? What are the really important things in life? Spiritually and philosophically, what is the ground beneath your feet? Can you clarify what you believe for yourself? When you find them, write these touchstone ideas and beliefs down. These are the things you should never lose track of. This exercise is something you might want to consider doing at least once a year between Samhain and the Winter Solstice, and it will probably take at least 2 or 3 sessions of writing and thinking, as well as even more thinking as you go through your daily life. Another good exercise for this time of year is to find a mass belief (one reflected in the popular culture, or what I like to call consensus reality) that is in conflict with one of your touchstones, but still affects you. How do you know it affects you? Because you see that at least some actions you take in your life are in line with this belief and not in line with your spiritual touchstone. Then work to clarify your beliefs through thought, careful consideration, and synthesis of any conflicting beliefs, or just let go of the belief that limits you because it separates your life from your touchstones. Once you’ve identified this belief or beliefs, (conflicting beliefs around consumerism are easy to spot this time of year, as an example), then start taking note of where and how this limiting belief is brought into your life through your interaction with consensus reality – for instance, television, movies, music, or water-cooler conversations. Write or draw these things in your journal (a Witch’s, shaman’s or magician’s journal is a critically important tool). You can even tear pages from magazines or print illustrations from the Web. But get it down on paper, so you can really work on breaking the hold this belief has on you. Finally, be with the people you care about. Value them, nurture them, talk with them and laugh with them as we honor the dying of the year and then welcome the returning Sun. Don’t waste your time partying with people who mean little to you – your time is a magical gift you should give only where it will do you and others the most good. In both Astrology and Tarot the Sun is the symbol of the Self – the bright light of who you truly are. As we move into what can be a difficult season for many, give honor to that bright Self within as part of the honor you give to the reborn Sun at Solstice. Give yourself the time and devotion you need to shine.